My brother and I started Magellan’s Gift™ Micro Soap Company long before the average person had personal computers. We were self taught through real books and our mistakes. The batches were hand stirred and large – requiring both of us to create our craft. Today, so much has changed with access to the internet. Soap makers chat globally sharing techniques freely. Sound practice is reinforced; archaic folklore is put aside. Beautiful soaps that truly are art are painstakingly created in many steps and are really priceless. Contests are held and winners announced! 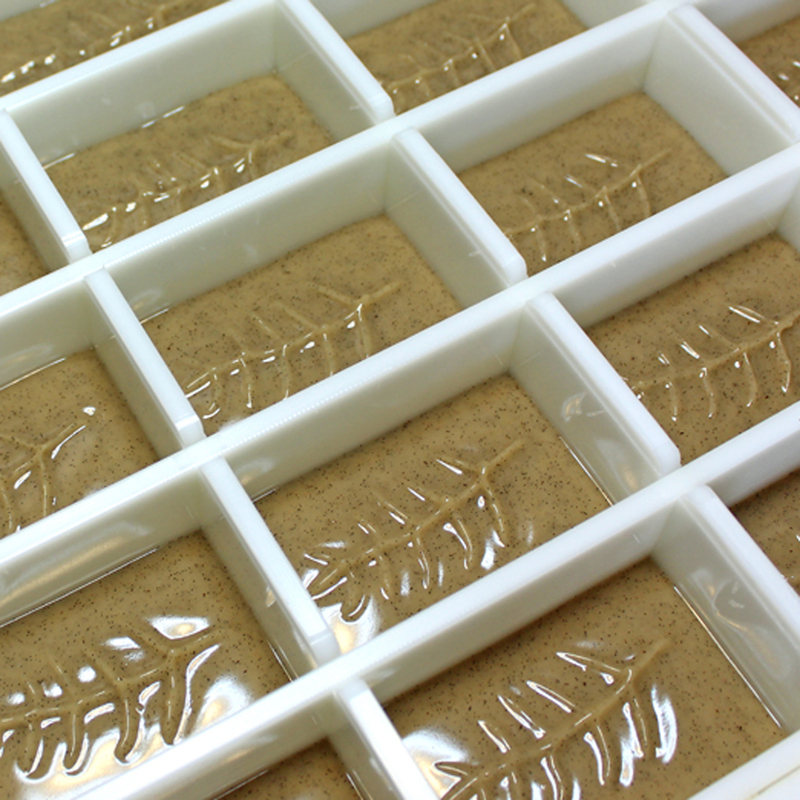 From hobbyist to larger handcrafted soap companies, there has never been a better time to be creative with soap. Magellan’s Gift™ strives to have bars that are about function, using great ingredients that are good for the skin. The soaps do need to catch your eye, but making tiny little batches where 8 bars takes a whole day to produce isn’t going to work – even for a Micro Soap Company. The majority of Magellan’s Gift™ soaps are sold at a wonderful busy farmers market year round and online at http://www.magellansgift.com which means every week, soap is made and every week soap needs to be cured and ready to sell. When I learned of Clara Lindberg’s blog detailing the how to’s of using wire to create an inverted stamp, it was love at first sight. And was very possible with my 30-bar molds (which are still considered small), but at up to 6 batches a day – helpful. More stamps are in the works for inverted images. 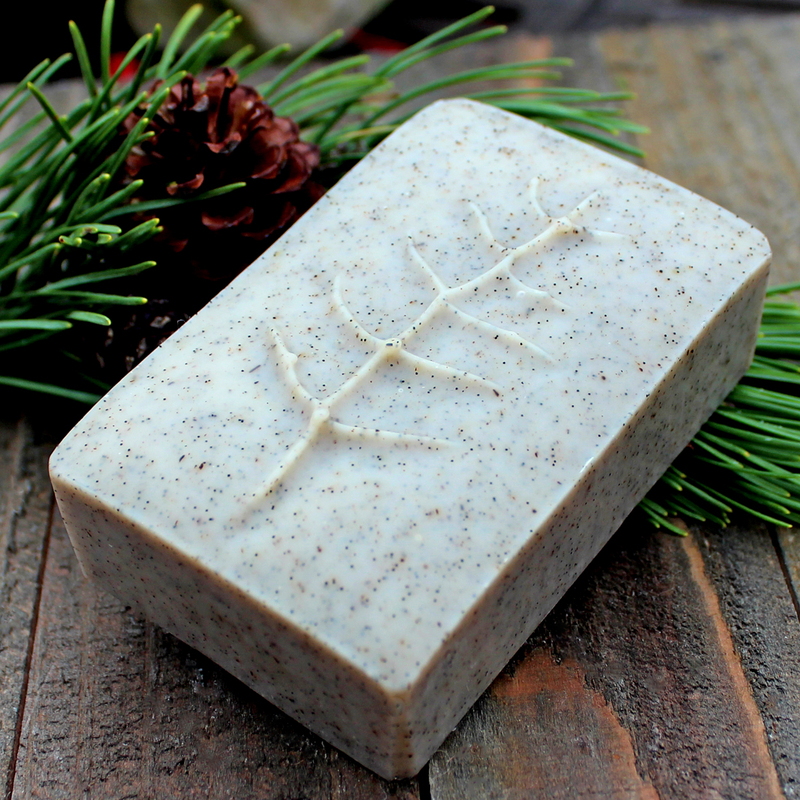 Dark Forest – a handcrafted soap scented with fir needle, spruce and a dash of vetiver. The design was created by dipping a handmade tool into the soap at just the right time to create an inverted stamp. A crude quickly made tool made with Sucru ( a new moldable glue), but could easily made with polymer clay at less cost. ← Handcrafted Soap ~ Dangerous Waters! So creative, and a lovely look! Blush – thank you Char!